For more information about the other elements of the project manager, read this page. If you create a new game, a scene is automatically added to the game and opened. If you open a game, double click on a scene in the project manager to open it. 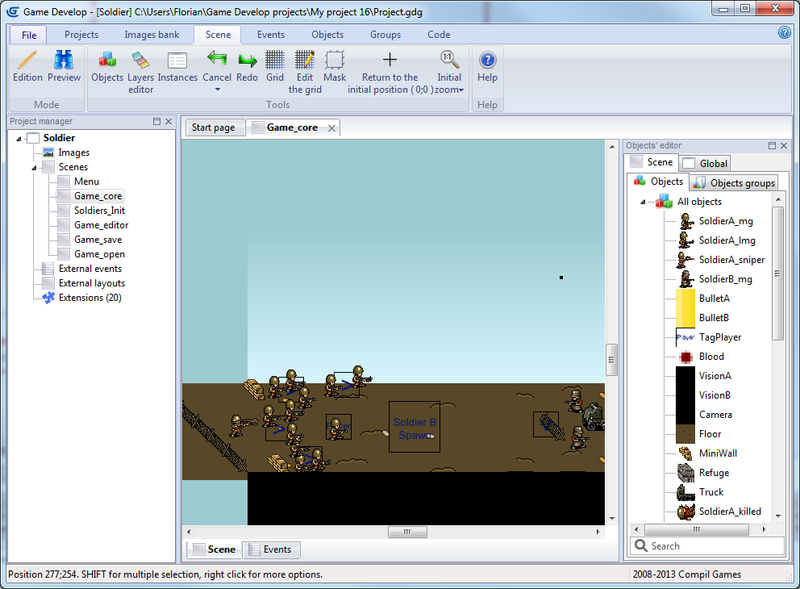 On the right, the objects available for the scene are displayed by the objects editor. You can display the events by clicking on the Events tab which is on the bottom. Others editors can also be used but are not shown by default: For example, the layers editor can be displayed by clicking on its icon in the ribbon. To put objects on the scene, do a drag'n'drop: Make a click on an object in the list and keep the left button pressed. Then, move the cursor over the scene and release the left button to put the object. 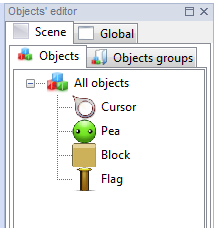 You can learn more about the objects editor on its page. You can read this page to learn how to use it. To add the first event, click on Add an event in the ribbon. As usual, you can learn more about the editor by reading its dedicated page. This quick overview was designed to present the most useful editors. If you want to learn more about a specific editor, browse the table of contents of the help to find the appropriate page. 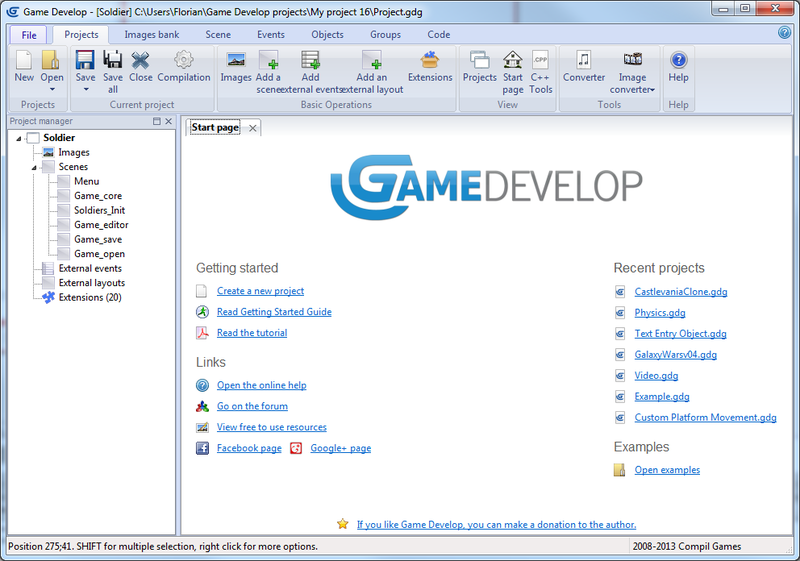 Learn more about how to use GDevelop by reading the Getting Started page.